It was the marshlands of Louisiana where Filipinos settled first permanently in 1763. In order to flee from the clutches of the merciless Spanish colonists, they sheltered themselves along the gulf posts of New Orleans. Referred to as ‘Manilamen’ or ‘Spanish-speaking Filipinos’ in those days, they were the first to share with the United States the sun-drying recipe of shrimp. The year of 1781 is an important episode in the Filipino history of the United States. In 1781, the Spanish Government sent a Filipino named Antonio Miranda Rodriguez Poblador along with a team of 44 individuals from Mexico to the land which came to be known as Los Angeles. Evidently, the city of Los Angeles owes its foundation to the Filipino in the US. There were Filipinos from New Orleans among the ‘Batarians’ who had bravely fought against the British colonizers in the 1812 Battle of New Orleans. It initiated the first wave of immigration from the Philippines to the United States. The second wave of Filipino migration to the US commenced in 1906 and continued till 1934. The Treaty of Paris between Spain and the United States in 1899 as a result of the Spanish-American War put an end to the 300-year long Spanish colonization of the Philippines and brought Filipinos under control of America in exchange for $20 million to Spain. Consequently, the second wave of the Filipino immigration to the US was initiated in the beginning of the 20th century. The Filipino Americans have formed some close-knit neighborhoods, which are nicknamed ‘Little Manilas’ in California and Hawaii, with immigrants from the Philippines. Little Manilas are tailed habitats of Filipinos living as residents or citizens or employees on contact or students in the United States. Many Filipino American chefs work in fine dining restaurants across the United States. Even the executive chef in the White House is a Filipino American named Cristeta Comeford. However, the Philippine cuisine is not as popular as other Asian cuisines in the USA. The Filipinos in America celebrate the month of October as the Filipino American History Month among all Philippine festivals and celebrations, commemorating the first arrival of Filipinos in Morro Bay, California, in October 1587. 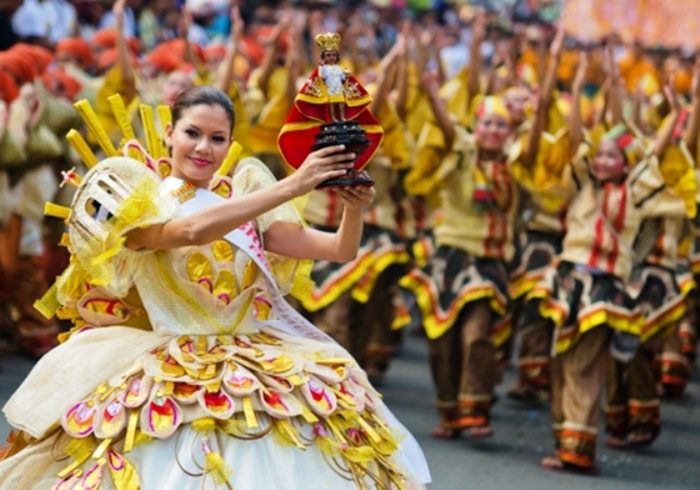 They also celebrate the Philippine Independence Day on June 12 across the United States. According to some surveys, it is estimated that over 60,000 Filipinos migrate to the United States every year. The most interesting fact is that the Filipinos in America form the third largest community of immigrants from Asia, which is equivalent to 15.7% of foreign-born residents in USA after the Chinese and Indians. Although the US census states that 3.4 million is the strength of the Filipino community in USA, it is believed that the actual population of Filipino Americans is close to 4 million. One of the most interesting facts to know about the Filipinos in America is that half of their population resides in the state of California, while 6.7% of the rest lives in Hawaii. 4.8% of the Filipino migrants in Texas is the same in New Jersey. Illinois is home to 4.7% of the total Filipino Americans. Do you know that the Philippines to the United States is the seventh largest migration corridor in the world? The Filipino community in the USA rapidly grew in the 1980’s.Their population increased from 12,271 in 1950 to 255,592 in 2010. Another interesting thing to share from the Filipino history is that more than 25% of the foreign-born Filipinos immigrated to the US after 2000. Among the most interesting things about Filipinos in America is the fact that they represent the largest fraction of the naturalized US citizens in all communities of foreign-born immigrants in the USA. The average age of Filipino Americans is 34. Interestingly, 72.6% of the Filipinos in America are just above 18 years in age. One of the few interesting facts about the Filipino community in the US is that their average household size is greater than that of the Americans. 3.3 and 3.72 are the average household size and the average family size of Filipinos in the US. 76.7% of the Filipino Americans own houses in USA and 57.2% of them are married. Believe it or not, the literacy rate in the Filipino American community is almost twice that of Americans in the US. The most interesting of all facts about Filipinos in America is that they earn more than the Native Americans. The average annual household income of the Native American population is $53,657, while the median household income of the FilipinoAmericans is $75,146 per annum. They are the second highest earning community after Indians in America. Tagalog, the national language of the Philippines, is the fourth largest foreign language spoken in the Filipino American households. It is next to Spanish, Chinese and French languages spoken in the United States. More interestingly, 69% of the Filipino Americans speak fluent English. You can save big on your flights to Philippines from USA by booking the cheapest air tickets at iEagle.com, a reputed and reliable international travel organization. FlyHigh is a travel and lifestyle portal by iEagle.com, an international travel organization booking best flights from the USA across the world. FlyHigh publishes news, stories and articles related to travel, food, culture, tourist places, airlines, airports and lounges.